Temporarily renamed 'North Seventh,' Philadelphia's iconic music venue is renamed by local residents following a naming contest hosted by new owners, The Bowery Presents. PHILADELPHIA (Oct. 18, 2018) - The Bowery Presents announced today the venue most recently known as North Seventh, formerly the Electric Factory, will host audiences under a new name - Franklin Music Hall - after the owner of the Electric Factory mark refused to license the use of the name and logo. The name Franklin Music Hall was selected from more than 5,000 submissions during a naming contest, which kicked off in September following acquisition of the venue by The Bowery Presents. "We were thrilled to see such an outpouring of suggestions from the city's most passionate music lovers," said Bryan Dilworth, The Bowery Presents Philadelphia buyer and veteran of 24 years at the venue. "The new title was truly selected by fans, for fans, and honors the spirit of such an iconic Philadelphia music venue. We look forward to the Franklin Music Hall becoming a household name as the legacy of the venue continues to be written." From the pool of contest entries, many suggestions took inspiration from one of Philadelphia's most iconic public figures, Benjamin Franklin. Among them, four fans suggested the winning title of "Franklin Music Hall." The winners will receive two complimentary tickets to every show at the venue through 2020. All tickets sold under Electric Factory and North Seventh names will be honored at Franklin Music Hall. Official ticket sales for all shows are available through Ticketmaster, the Franklin Music Hall box office and BoweryPhilly.com. The Bowery Presents is the leading New York City-based concert promoter, whose mission is to bring the best artists to cities spanning from Maine to the Gulf Coast, while providing an excellent concert experience for both fans and artists. Since its inception, The Bowery Presents has been a purveyor of true artist development and consistently strives to work with artists like LCD Soundsystem, My Morning Jacket, Mumford & Sons, and Sam Smith to grow from performing in intimate clubs to performing in sold-out arenas. 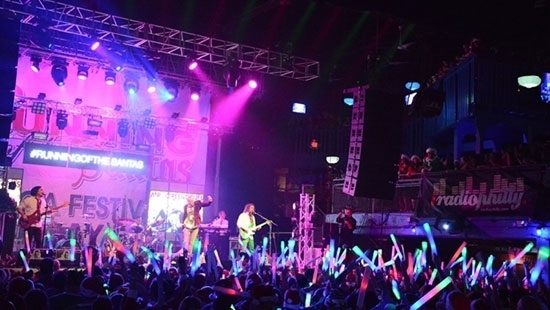 As a trusted industry tastemaker, The Bowery Presents produces dynamic entertainment experiences at dozens of venues nationally, presenting thousands of shows annually. For more information visit www.bowerypresents.com. AEG Presents is one of the world's largest live music companies. The company is dedicated to all aspects of live contemporary music performances, including producing and promoting global concert tours, regional music events and world-renowned festivals. AEG Presents operates in North America, Europe and Asia through 15 regional offices that support its tours which include such artists as Taylor Swift, Paul McCartney, The Rolling Stones, BTS, Justin Bieber, Katy Perry, Elton John, Celine Dion, and Kenny Chesney; produces over 40 music festivals, including the iconic Coachella Valley Music & Arts Festival; New Orleans Jazz & Heritage Festival, Stagecoach - California's Country Music Festival, Desert Trip, Firefly Music Festival, Hangout Music Festival and Electric Forest and owns, manages or exclusively promotes in more than 80 clubs and theaters worldwide. AEG presents more than 11,000 shows annually worldwide and conducts business under such globally renowned brands as AEG Presents, Goldenvoice, The Bowery Presents, Concerts West, Messina Touring Group, Marshall Arts LTD, and Madison House Presents. For more information visit www.aegpresents.com.